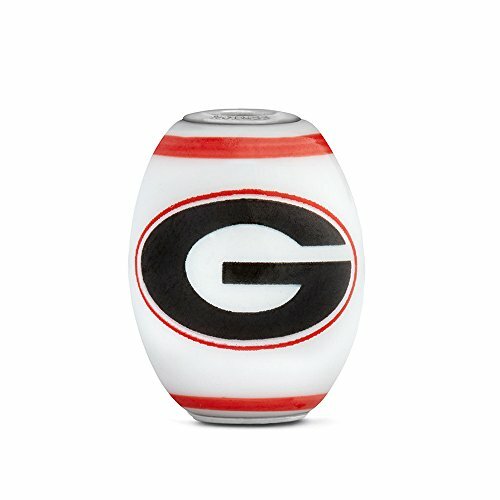 Go Dawgs, Sic Em'! 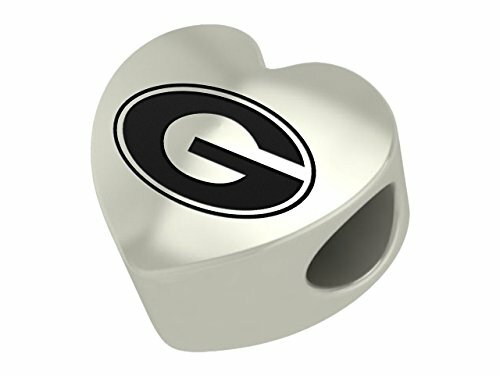 If you are a Georgia Bulldog fan, you are die hard. Some of the most loyal fans in college sports. 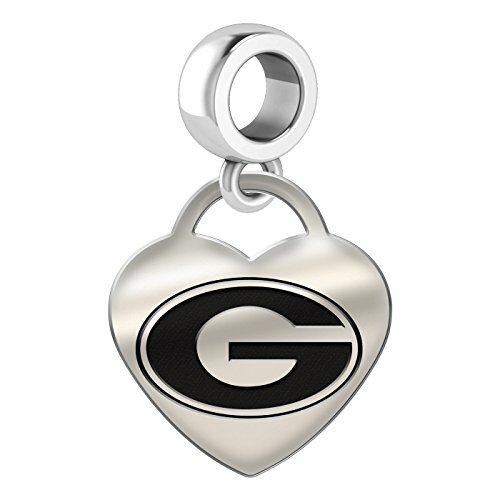 These Georgia Bulldogs Pandora charms are the best way to show your Dawg loyalty. Pandora style bracelets are the perfect jewelry to show who you are. 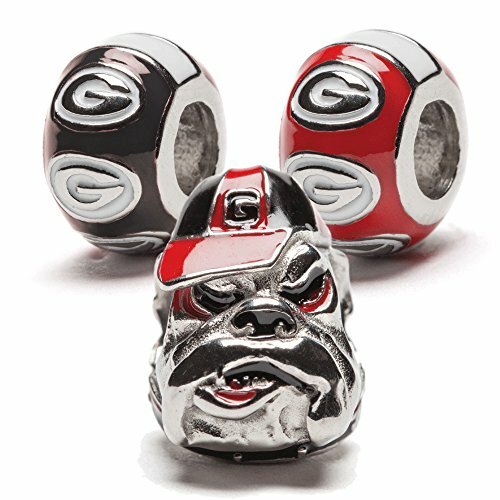 Your charms tell a story about you, and if part of your story is tailgating in Athens Georgia sporting your red and black, then these beads are the way to go. 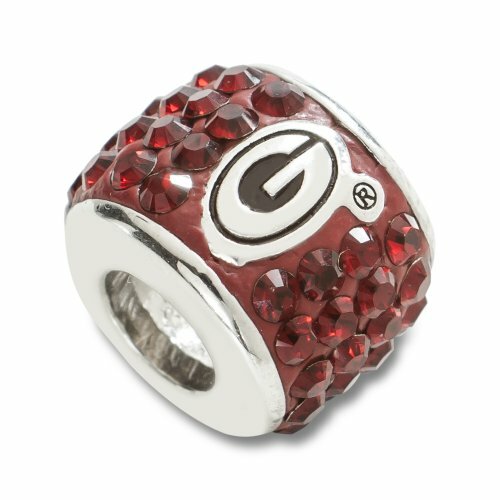 Get the red and black G or get a bulldog or both, make your bracelet say "I am a Bulldog!" 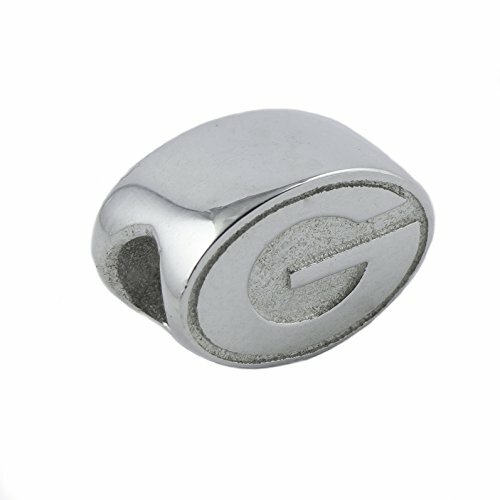 Get the big G on your bracelet. 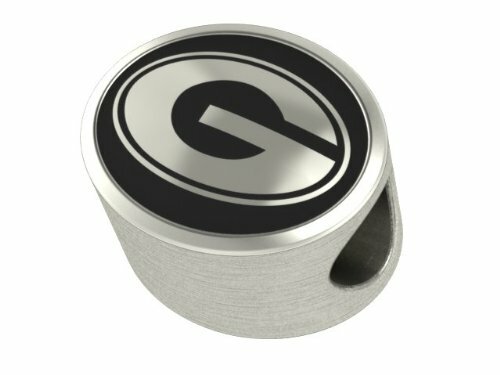 Full Color, and solid sterling silver. 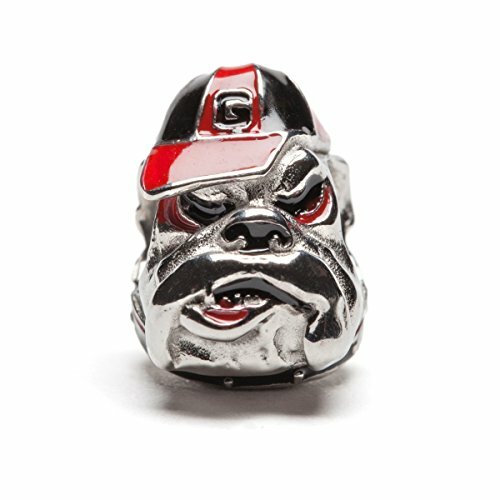 This Georgia Bulldog Pandora Charm is Officially licensed and made in the good old USA. 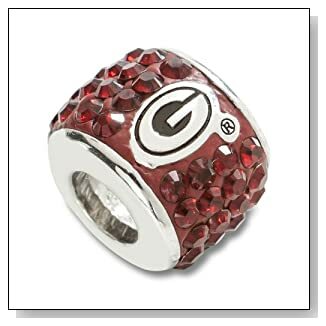 This bead is a great choice if you don't want anything dangling from the bracelet. 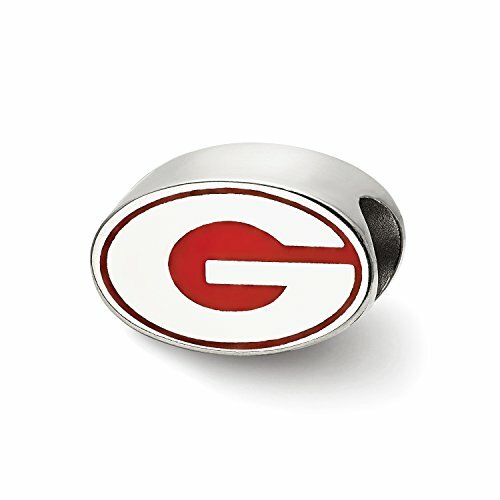 It is also great because it has the big red G on both sides, so you can show your team spirit all of the time. 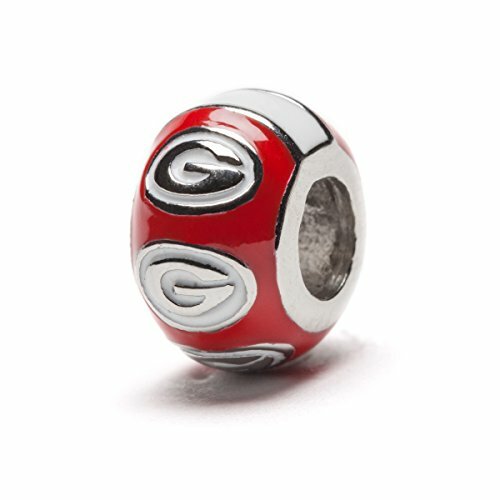 This UGA Bulldog Pandora charm is a dangler. 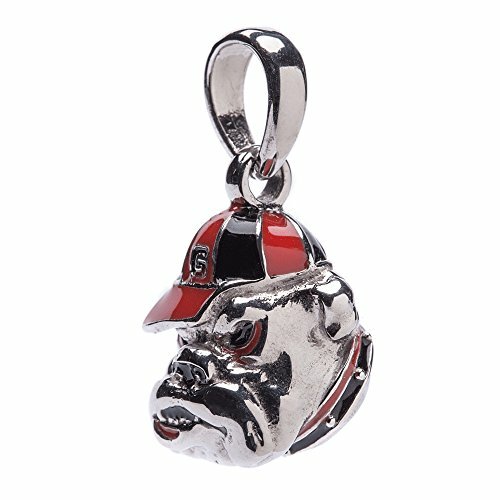 Sterling silver with Bulldog red. 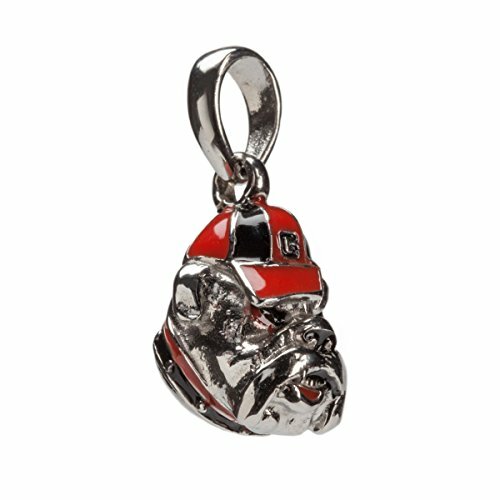 Every stylish Bulldog fan would love to have this charm! 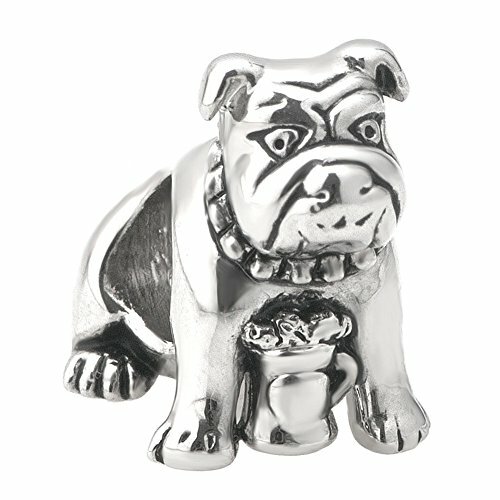 It's a great idea for Mother's Day, birthdays, or just for a sweet surprise for that special Bulldog lady in your life! 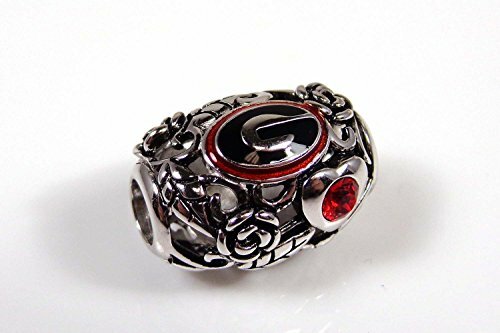 So your Pandora bracelet is a different color scheme, but you have to support your Dawgs? 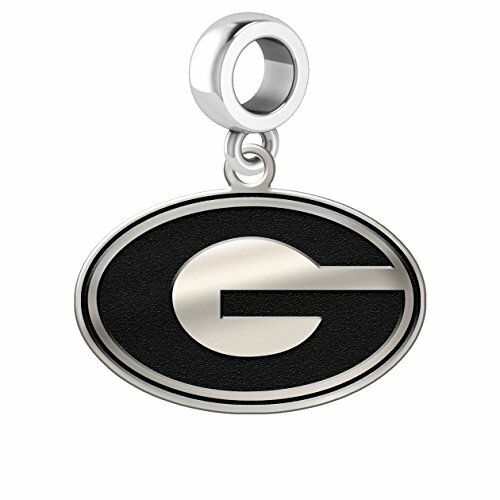 This sterling silver Georgia Bulldog G charm is the way to go. The black and silver color scheme blends seamlessly with beads of any color. 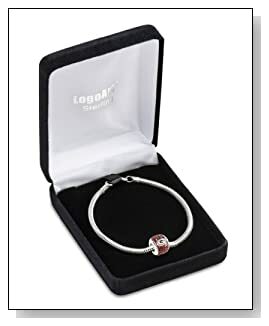 Some of the most beautiful bracelets that I've seen are all silver and black and the best part is that they match almost any outfit. Red or Black? Home or away? 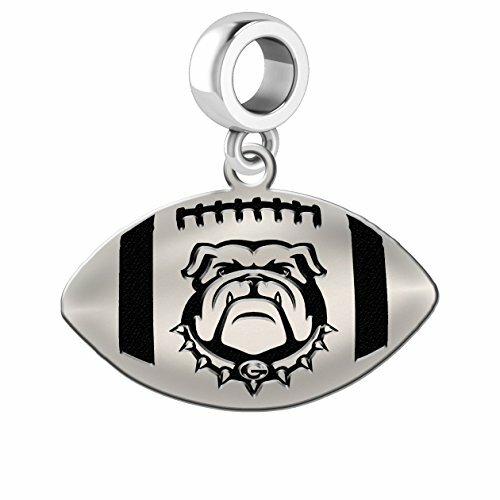 Either way, you are a Bulldog Fan when you have a Georgia Bulldog Pandora Bracelet with these bulldog charms. There is a bit of a glare on the picture of these beads, but that is just the flash of the camera. Don't worry. 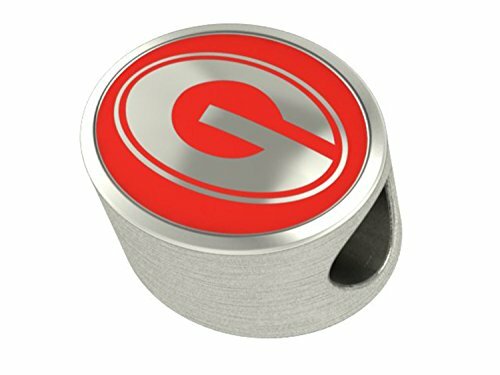 They'll look great on your arm! 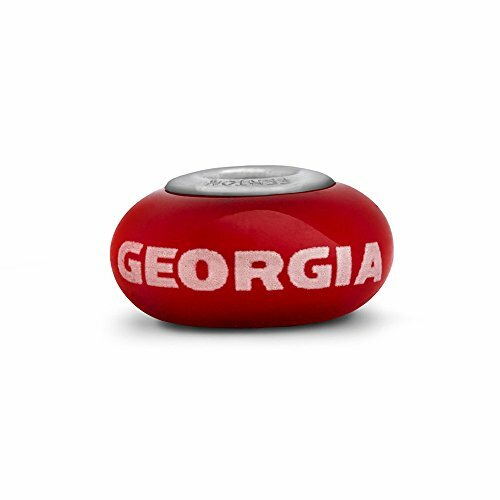 It's the Dawg in ya. 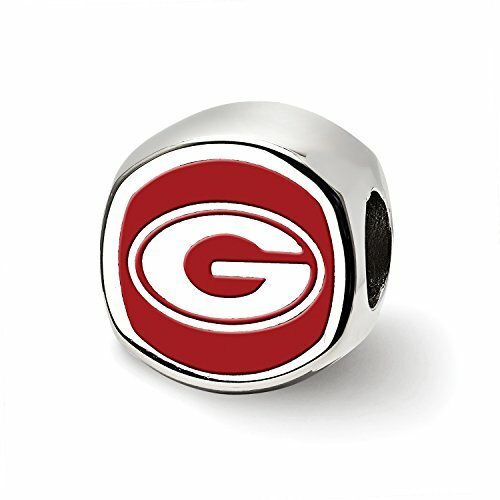 These bulldog charms go perfect with the G logo Pandora charms to make a complete Bulldog Fan Pandora Bracelet. 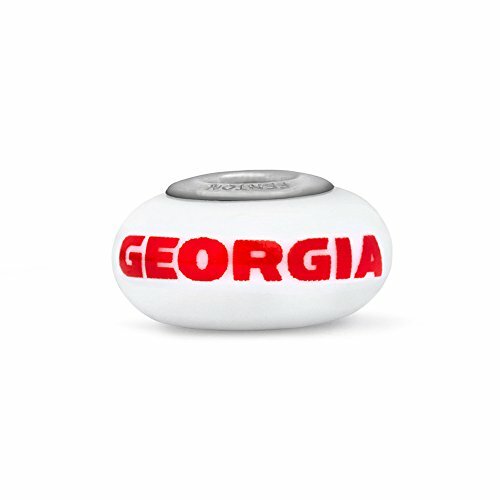 Uga, the English Bulldog mascot of the Georgia Bulldogs, is so ugly he's cute! 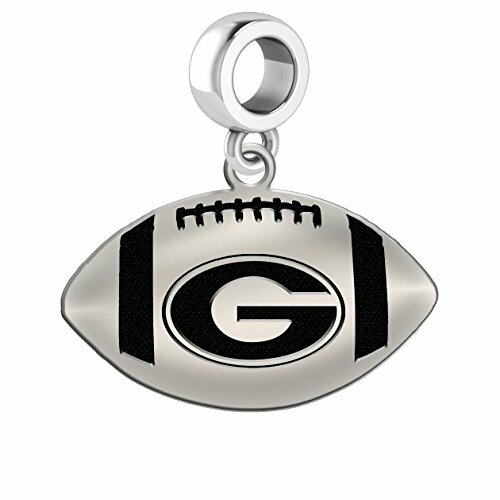 Who wouldn't want to flaunt all that cuteness on their favorite bracelet? 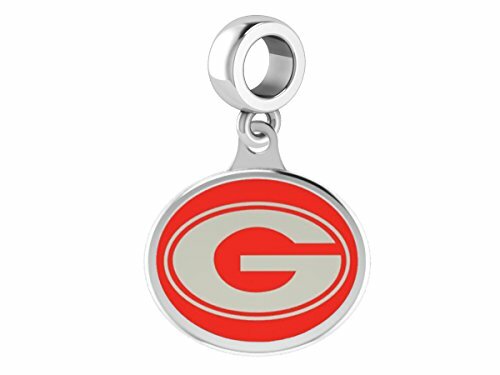 Bulldog Fans love a dog named Uga. He's the most pampered dog in the world! He flies First Class and has an air-conditioned doghouse with the best view of the most exciting games in the SEC! Sanford Stadium's number one guard dog. And I hear he prefers Auburn players over dog treats. 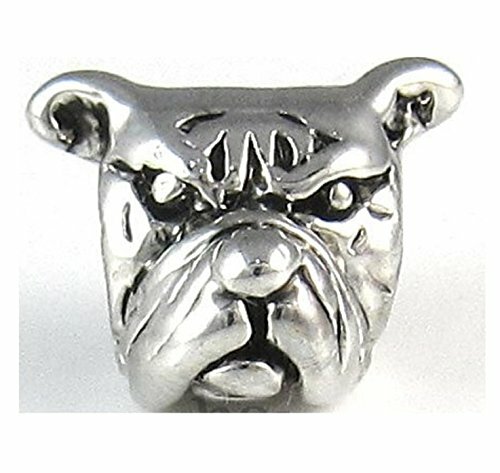 Show your love for this feisty dog with this beautiful bead!